Black Rock Legal Defense Fund – Building a sustainable law enforcement future. Over a span of six years, the New York City Police Department received 16 complaints alleging that Police Officer Michael Dowd had been robbing drug dealers and dealing cocaine as part of a gang of corrupt officers in the 75th Precinct in the crime-ridden East New York section of Brooklyn. That wasn’t all. The officer drove to work in a bright red Corvette and sometimes had a limousine pick him up at the station house for gambling trips to Atlantic City. Yet in a clear example of what went wrong with the department’s handling of corruption cases, an investigative panel, the Mollen Commission, has concluded that senior officers repeatedly ignored allegations against Officer Dowd or blocked efforts to check them out in a deliberate policy to shield the department from scandal. Officer Dowd was eventually arrested by another department and is now facing sentencing on drug charges. The senior officers’ behavior, the panel concluded, was influenced by the tone set at the top. The panel’s report, which will be released formally today, found that Benjamin Ward, who was the Police Commissioner when the first allegations were made against Officer Dowd in 1986, had been deeply shaken by a corruption scandal in another Brooklyn precinct at about the same time. And it quoted Charles J. Hynes, who was then the state’s special prosecutor for police corruption, as saying that Mr. Ward was convinced that further revelations of police misconduct would cripple the department. Mr. Ward said he could not comment on the report because he had not seen it. Chief Sullivan told the commission that his subordinates never informed him about Officer Dowd until 1992. Because of the perceived policy, Mr. Dowd and his “crew” of crooked officers flaunted the illegal wheeling and dealing that brought some of them as much as $8,000 a week for not interfering with drug sales along with whatever cocaine they could steal as they broke down doors at drug dens and ripped off dealers. Officer Dowd, who is 32, was finally arrested in 1992, not by New York City Police investigators, but by officers from Suffolk County. They had intercepted telephone conversations between the officer and a small-time drug dealer. He is now in the Manhattan Correctional Center awaiting sentencing on drug charges. 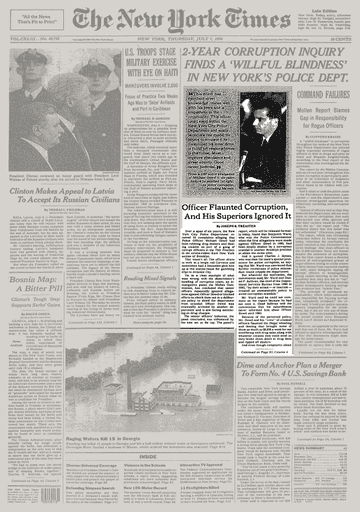 The revelations that grew out of Officer Dowd’s arrest led Mayor David N. Dinkins to announce the creation of the Mollen Commission on June 25, 1992. The panel’s report concluded that for nearly a decade the Police Department had abandoned its responsibility to insure the honesty of its members. Fearing that reports of corruption in their commands would damage their careers, senior officers looked the other way, the commission said. Information in internal investigations was deliberately fragmented, rather than woven together to form a pattern, and cases were closed well before all leads had been exhausted. In the fall of 1992, a report issued by Police Commissioner Lee P. Brown blamed the department’s failure to intervene in the crimes of Mr. Dowd and his fellow rogue cops on a breakdown in procedures. But the Mollen Commission said it concluded that the problem was “a willful effort” by commanders of the Internal Affairs Division, the principal anti-corruption unit, to impede the investigation. Internal Affairs, it said, treated allegations against Mr. Dowd as separate incidents and withheld critical information from another investigator. One example of how police investigators failed to make the most of leads was the holdup on July 1, 1988, by three officers in the 75th Precinct of a grocery store that was serving as a front for drug dealing. Officer Walter Yurkiw and two others were charged with the crime after robbery investigators found the car they had used, with money and drugs visible inside, parked near the station house. Three weeks after the robbery, the precinct commander, Deputy Inspector John Harkins, told Captain Thomas Callahan of the Internal Affairs Division that he had heard rumors that Mr. Dowd was also involved in the robbery, the commission said. A few days later, a precinct lieutenant told Internal Affairs that Mr. Dowd had reportedly been seen at a bar with Officer Yurkiw and the others shortly before the robbery. About two weeks later, two drug dealers told an Internal Affairs officer that their drug organization was paying Mr. Dowd $3,000 to $4,000 a week, plus an ounce of cocaine, for protection. All this came to nothing. Instead, the robbery investigation remained focused on the three officers. 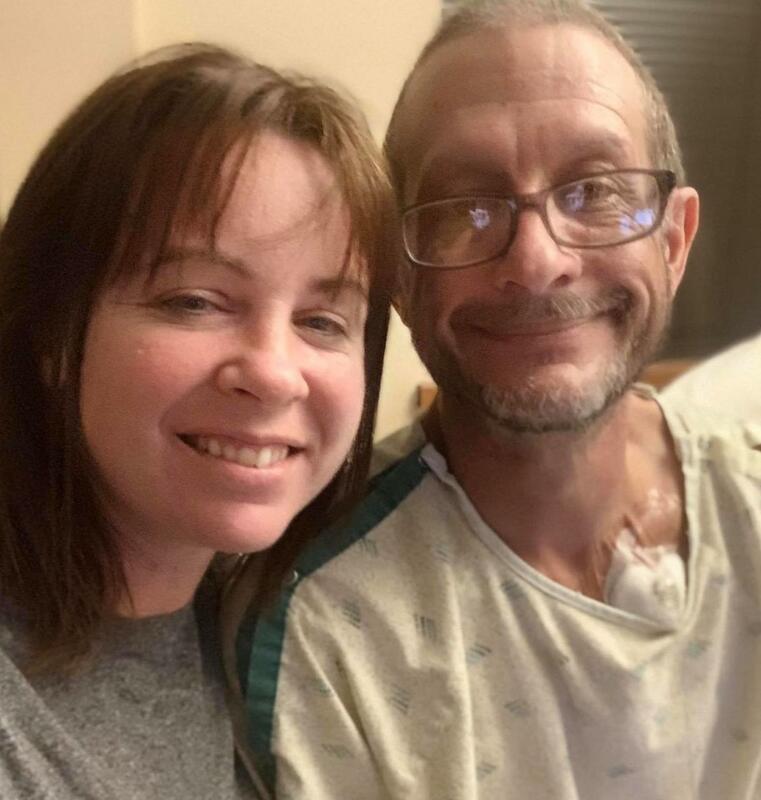 A few months later, Officer Yurkiw’s girlfriend, who told the police she used cocaine, got in touch with Internal Affairs, saying that Officer Yurkiw had threatened to kill her unless she provided an alibi for him in the grocery store robbery. She also told Internal Affairs about Mr. Dowd and others at the precinct. An Internal Affairs officer reported that the woman’s “credibility and allegiances were suspect.” Yet, the Commission said, her testimony was nevertheless used. SWAT Team Takes Children after Parents Disagree with Doctor. After police officers busted down the door of a Chandler home to take a toddler with a spiking fever from his parents, advocates and a state legislator are questioning if a new law intended to protect families’ rights is failing. DCS officials did not respond to The Arizona Republic’s questions about their policies for child-welfare checks and warrants, or whether their handling of this family’s case was in line with those policies. Townsend said she wants lawmakers to review warrant procedures that led to police using force, left a family traumatized and placed three children in state custody. The fact that DCS obtained a court-approved warrant shows this wasn’t an emergency that threatened the child’s life or safety so there wasn’t time to file with the court, she said. In 2016, the 9th U.S. Circuit Court of Appeals ruled that removing a child without court approval violates parents’ constitutional rights. In fact, the total number of child removals has declined since the law took effect, but only slightly, and it’s unclear what role the new law played in the decline. Concern over DCS abusing loopholes in the system prompted a second round of legislation in 2018. The restrictions designated “exigent circumstances” when DCS may remove children without a warrant. Removing the child must be so dire that there’s no time to use the electronic system to gain authorization from a judge who’s on call 24/7. After they left the doctor’s office, the child was laughing and playing with his siblings. The mother took the child’s temperature again. It was near normal. Families attend child-welfare hearings at Maricopa County Juvenile Court in Mesa. From left to right: Steven Isham, Karla Johnson, Lori Ford, Malinda Sherwyn, and David Watson are members of a group called Arizona DCS Oversight. The New York Civil Liberties Union (“NYCLU”) respectfully submits the following testimony today regarding the New York Police Department (“NYPD”) disciplinary system. The NYCLU, the New York affiliate of the American Civil Liberties Union, is a not-for-profit, non-partisan organization with eight offices throughout the state and more than 200,000 members and supporters. The NYCLU’s mission is to promote and protect the fundamental rights, principles, and values embodied in the Bill of Rights of the U.S. Constitution and the New York Constitution. Defending New Yorkers’ right to be free from discriminatory and abusive policing is a core component of the NYCLU’s mission. Protecting this right requires robust systems for investigating abusive officers and holding them accountable. We also work to ensure that all individuals accused of a crime receive due process and equal protection under the law. Fundamental to this effort is holding district attorneys and their offices accountable to the public. Our testimony will speak to the need to increase transparency in both the NYPD and prosecutorial systems, including commentary on the specific bills now before the committees. In brief, the NYCLU expresses our full support for the resolution calling for repeal of New York Civil Rights Law Section 50-a and our qualified support for the remaining seven introductions. Each introduction has the potential to fill key voids in the public’s understanding of NYPD disciplinary practices and prosecutorial decision-making. We include specific suggestions below to further strengthen these proposals and enhance the public’s access to this critical information. In June 2018, NYPD Commissioner James O’Neill convened a panel of two former U.S. attorneys and a former federal judge to review and make recommendations for improving the Department’s internal disciplinary processes, practices, and policies. The report issued by that panel last week confirms issues within the NYPD that the NYCLU has raised for years, including the lack of transparency in the disciplinary process, the Commissioner’s complete authority to decide outcomes in all disciplinary cases, the vulnerability of key decision makers to inappropriate internal and external influences, and long delays in case processing that deny victims of police misconduct a sense of resolution or closure. The Panel noted that it “was struck from the outset, and throughout its work by the lack of transparency and plain-English explanations of the NYPD’s disciplinary system and process.” This observation sets the tone for why the measures before the committees today are so essential – and in many cases, need to go further. The public’s trust in police is diminished every time an officer is not brought to justice for misconduct. It is further diminished when departments actively resist sharing even the most basic information about what rules and procedures they have in place to respond to complaints of misconduct and data on what happens once those complaints start winding their way through these opaque systems. Despite the existence of an independent Civilian Complaint Review Board (“CCRB”) with the power to investigate and prosecute a defined subset of misconduct complaints, New Yorkers are ultimately asked to trust the NYPD to police itself. Decisions about how—and indeed, whether—to discipline officers who violate the public trust are left entirely to the discretion of the NYPD Commissioner. The CCRB and even the NYPD’s own Deputy Commissioner for Trials only have the power to make recommendations to the Commissioner about discipline. State and local laws combine to vest the Commissioner with absolute discretion over the final outcome and to allow the NYPD full control over where disciplinary proceedings take place and who has access to information on how these proceedings are resolved. To its credit, the CCRB produces detailed reports on the outcomes of cases it investigates and prosecutes. The story told by this data, however, is serious cause for alarm. In 2017, the most recent year for which we have full data, the Police Commissioner imposed penalties weaker than those recommended by the CCRB in the majority of cases. In the most serious cases that went to full administrative trials, the Commissioner imposed discipline consistent with CCRB recommendations in just 27 percent of cases. The NYPD’s handling of officer disciplinary proceedings demands close scrutiny and comprehensive reform. The bills before the committee today are not enough to eliminate flaws in the NYPD disciplinary system, but they represent a critical first step by adding in long overdue and badly needed mechanisms for oversight. As the de Blasio Administration and the NYPD have manipulated secrecy provisions like New York Civil Rights Law Section 50-a to shield abusive officers from all accountability, the City Council has a public duty to respond by mandating greater transparency. By requiring the NYPD to report on the rules it follows—or purports to follow—regarding discipline, and to release data on what happens with misconduct complaints and investigations, the City Council can help New Yorkers begin to break through the thin blue line protecting those officers who abuse the very people they are supposed to protect and serve. The NYCLU strongly supports passage of Preconsidered Resolution 2019-3709, calling on the State Legislature to fully repeal New York Civil Rights Law Section 50-a. Section 50-a cloaks police disciplinary records in secrecy and has been used to shield evidence of law enforcement abuse from the public. Originally passed in 1976 as an attempt to limit defense attorneys’ ability to impeach the credibility of police officers by bringing up unproven allegations of misconduct, Section 50-a is now infamous for the harm it inflicts on victims of police abuse. Section 50-a permits total state secrecy. It permits police departments to cover up their inaction on past allegations of officer misconduct when confronted with demands for accountability – including from police abuse victims and grieving family members who have lost loved ones to police killings. It has been twisted to justify the withholding of everything from body camera footage to completely anonymized use of force data. And it has gotten worse. More than any administration in recent memory, the de Blasio administration has made use of 50-a to push vitally important public records down the memory hole. In 2016, the de Blasio administration and the NYPD reversed a 40 year-old practice of releasing “personnel orders,” basic summaries of disciplinary charges and outcomes, claiming for the first time that this practice violated Section 50-a. This robbed the public and the media of one of the only sources of information on whether officers who engage in serious misconduct face any degree of accountability. Astoundingly, in a 2018 letter to the Inspector General for the NYPD, the Deputy Commissioner for Legal Matters argued that Section 50-a even bars the release of aggregate, anonymized data on how many use of force incidents were reported in a given precinct. The de Blasio administration also fought the NYCLU’s request for redacted decisions from the NYPD trial room, in which we sought to better understand how disciplinary decisions were made within the NYPD but without seeking any information that would have identified an individual officer. That opposition resulted in a December 2018 decision from the New York Court of Appeals that dealt a severe blow to transparency and good governance. In its decision, the Court of Appeals expanded Section 50-a’s reach so dramatically that now, unlike the other exemptions in the state Freedom of Information Law (under which disclosure of covered records is still permissive and redactions are favored to withholding) Section 50-a stands as a categorical ban on the disclosure of police personnel records. New York has long been an outlier in elevating police personnel records to the level of state secrets. We are one of just two states to maintain a law specifically making these records secret. California, long part of an ignoble trio alongside New York and Delaware, recently took steps to open the books of certain records of police misconduct, joining a group of 28 states that make police disciplinary records available to the public in at least some cases and leaving New York and Delaware to compete for last place in terms of transparency. Of the 28 states where at least some records are accessible, 13 states—a geographically and politically diverse group including, among others, Alabama, Arizona, Connecticut, Florida, Ohio, and Washington—start from the position that disciplinary records specifically are and should be open to the public. It’s time for New York to catch up. The power to repeal Section 50-a obviously rests with the State Legislature but New York City-based actors bear no small part of the responsibility for the provision’s shameful expansion and the attendant weakening in the public’s ability to serve as a check on official misconduct. It is imperative that city lawmakers join in the statewide movement to push back on this anti-democratic provision and that their counterparts in Albany do their part to end police secrecy by heeding the call to repeal 50-a. As important as the underlying records and decisions concerning police discipline are, it is equally important that the public be able to understand and have confidence in the process through which disciplinary decisions are made. To that end, the NYCLU expresses qualified support for Intro. 1309, which will require the NYPD to study the feasibility of instituting and develop a plan for implementing a disciplinary matrix. A disciplinary matrix is a tool setting out presumptive penalties or a range of penalties to ascribe to defined categories of misconduct. While a matrix would not be binding on the NYPD Commissioner, the goal would be to promote more consistent application of the Department’s rules and enhance the public’s understanding of the process. The NYCLU agrees with the bill sponsor and the Panel Report that the development and implementation of such a matrix are crucial steps for the department to take. It is unnecessary, however, for the department to be asked to first undertake an examination of the “feasibility” of such a model. As the Panel Report notes, disciplinary matrices have been developed and implemented in a number of large police departments across the country, including Los Angeles and Denver. New Yorkers, the Panel, the NYPD, and members of this Council all know that a disciplinary matrix is doable. Rather than undertake a study of whether the Department can do this, the bill should require the Department to involve the public in planning for how to do so. Instead of starting with a feasibility study, the bill should instead require the NYPD to consult with the Council and directly with communities most impacted by police practices in order to incorporate their input into the design and implementation of a disciplinary matrix. While no disciplinary matrix can, by itself, alter the exclusive authority of the NYPD Commissioner to decide these matters, the public deserves a voice in developing the standards that he should be looking to in reaching those decisions. As the Panel Report made clear, the NYPD must do a better job of tracking and reporting on disciplinary outcomes if the public is to have any confidence that the department is taking officer misconduct seriously. Preconsidered Intro. 2019-3705 is an important first step toward that goal. This bill will shed light on NYPD disciplinary practices and policies in two key ways. First, it will mandate that the NYPD publish its guidelines for determining the types of discipline to be imposed on officers for violations of department rules and regulations or local, state, and federal laws. Second, it will require annual reporting on the number of officers subject to disciplinary action, disaggregated by the type of discipline received and including information on the number and percentage of cases in which the Commissioner deviates from the recommendations of the Deputy Commissioner of Trials or the Civilian Complaint Review Board. It also requires the NYPD to prepare a report that compiles this information on disciplinary actions and outcomes for cases commenced within the preceding three years. There appears to be some overlap between this bill and Intros. 1309 and 1105, in particular relating to how disciplinary guidelines and violations are defined. The Panel Report stressed how difficult these processes already are even for experts to comprehend and noted a lack of consistent guidelines and definitions within the NYPD itself. To avoid adding to this confusion, the Council should use shared and consistent definitions of disciplinary guidelines, matrices, investigatory and disciplinary findings, and categories of misconduct to better enable the public to make use of information that will be generated. That said, this bill represents an important step toward providing the public with greater access to information about how the department hands down disciplinary penalties, and it will serve as a useful complement to similar reports from the CCRB regarding cases within that agency’s jurisdiction. The NYCLU looks forward to the role this information will play in better informing the public debate about discipline within the NYPD. The NYCLU supports the concept behind Intro. 1105, but we have concerns about the usefulness of the reporting that it will generate if passed without amendment. This bill will require the NYPD to issue monthly reports on the number of complaints it receives, disaggregated by precinct, and to report on actions taken by the department in response to each complaint. The bill states that these complaints shall include, but not be limited to “misuse of force, harassment, and use of offensive language,” an apparent nod to the types of misconduct over which the CCRB exercises jurisdiction. This framework serves little real purpose without more rigorous disaggregation requirements. As written, the bill only requires simple numerical reporting: the aggregate number of complaints received by a precinct each month. Despite the explicit inclusion of the above categories of misconduct, there is no requirement to yield data on how many complaints allege misconduct related to use of force, harassment, offensive language, or any other type of misconduct for that matter. To better capture and allow for analysis of patterns in types of misconduct complaints, the bill should require the NYPD to disaggregate the number of complaints by precinct and to further disaggregate that information by the type of misconduct alleged to have occurred. The current language states a non-exclusive list of misconduct categories to be included; the NYCLU suggests striking these examples. These categories are so closely linked to the types of misconduct within the CCRB’s jurisdiction that it may inadvertently suggest that the department is to only report on these specific categories, as opposed to reporting on any and all complaints of misconduct, whether within the CCRB’s or IAB’s jurisdiction. It is also not clear that requiring monthly reporting on outcomes will have the desired effect unless the bill incorporates a specific requirement for the NYPD to continually monitor and update the status of individual complaints. As written, the bill could be read as only requiring the NYPD to report once on the status of complaints filed within the preceding month, during which time, those complaints will almost uniformly be pending. An ongoing duty to monitor and to update these complaint reports is essential if these reports are to enhance the public’s and the Council’s ability to engage in real oversight of the NYPD. Lastly, it is not clear the extent to which this bill will require reporting on complaints originally filed with and received by the Civilian Complaint Review Board or another agency like the Inspector General that are subsequently transferred to the NYPD. The bill should be amended to ensure such complaints are included in the Department’s reporting requirements and to also include disaggregation by the origin of the complaint. These bills would require the NYPD to report on the numbers of individuals arrested for resisting arrest, assault in the second degree on an officer, or obstructing governmental administration, including demographic information on the arrestee. If intended to cover reporting on whether police are using these provisions inappropriately to target particular groups or communities for offenses sometimes dubbed “contempt of cop,” it should also include reporting on disorderly conduct. More data on these offenses, including when more than one of these offenses are charged together, can shed light on whether and how officers are misusing these charges. However, data that comes solely from the NYPD will necessarily be devoid of essential context—namely, how prosecutors and courts respond to these charges. The bill requires reporting on whether a district attorney declines to prosecute, but this requirement is more properly directed toward the district attorney offices themselves, as it may not be information readily available to the NYPD. Nevertheless, data on charging decisions and outcomes are essential for telling a more complete story about what happens with these arrests, and the bill should therefore impose reporting obligations on district attorney offices related to post-arrest charging and outcomes so that the public can better understand these arrest numbers in context. Lastly, while well-intentioned, the bills’ requirement that the NYPD report on whether the person arrested “is known to identify as transgender” or “is known to identify as non-binary or gender non-conforming” may result in invasive and potentially harassing questioning of transgender and gender nonconforming (“TGNC”) New Yorkers. A 2017 report from the Office of the Inspector General for the NYPD found substantial gaps in the Department’s implementation of 2012 Patrol Guide revisions intended to improve interactions between NYPD officers and TGNC New Yorkers, including the fact that not all officers had been trained on LGBTQ and TGNC issues and that the Department had not fully updated all forms and databases to properly account for interactions with TGNC individuals. The long and continuing history of harassment of TGNC communities by police warrants caution before adding such reporting requirements as routine components of police interactions. At minimum, if these provisions are retained, officers should only be recording and reporting this information if self-reported by the arrestee and that officers should not be proactively seeking this information. Preconsidered Intro. 2019-3706 will require the NYPD to provide district attorneys with information on certain types of disciplinary penalties imposed on officers within 24 hours of a district attorney’s request. Records of an officer’s past misconduct can have a profound impact on the course of a district attorney’s prosecution. Documented instances of bad arrests by an officer or lying in official statements may inform a decision not to prosecute, and the earlier that prosecutors obtain relevant evidence, the earlier such records can be shared with defense attorneys. The bill could be further strengthened to ensure that records of ostensibly lower-level officer misconduct are not falling through the cracks. The bill appears to only cover discipline resulting from charges and specifications, the most severe—and most infrequent—instances of police misconduct. The Council should amend the bill to include a requirement to provide prosecutors with records of any discipline imposed on an officer, whether that discipline resulted from charges and specifications in a formal trial room proceeding or whether that discipline was imposed at the precinct level through command discipline, instructions, or training. District attorneys wield immense power and influence over the trajectory of a defendant’s case. Yet the public generally has no idea about what goes into their decision-making or what standards they use to evaluate their own performance and assess the fairness of outcomes. This information gap is shocking given the outsized importance of these decisions – and the massive number of New Yorkers affected by them. In 2010, 99.6 % of New York City misdemeanor convictions resulted not from trials or evidentiary hearings, but from plea bargains that were crafted by prosecutors. Across the state, less than 4% of felony guilty convictions went to trial in 2016. We have no way of knowing how individual plea bargains are determined; but the astonishing percentage of plea deals in New York suggest powerful structural incentives to do so. One of the key reasons a person might accept a plea deal is the bail amount that is first recommended by the prosecutor, public data for which is also nonexistent. If a person receives bail at an amount that they cannot afford and is consequently subject to pretrial detention, the person is more likely to accept a plea deal. Without information on how bail recommendations are reached and plea bargains decided, the public lacks a basis for evaluating the integrity of a system in which a majority of criminal defendants waive their rights to trial. The public also lacks any basis for evaluating whether district attorneys are using their discretion in a fair, unbiased way. In part due to our ongoing work tracking NYPD stops, the NYCLU strongly suspects that the actual commission of crimes is not the most significant factor leading to stark racial disparities in the Rikers population, where nearly 90% of detainees are Black and Latino New Yorkers. The Vera Institute of Justice published a study in 2014 illustrating how race plays a key factor across all prosecutorial decision points in the Manhattan District Attorney Office, shaping case outcomes. The study looked at discretion points—from case acceptance for prosecution, to dismissals, pretrial detention, plea bargaining, and sentencing recommendations—for analyses of case outcomes disaggregated by race. Overall, race was a statistically significant independent factor in most of the discretion points. Blacks and Latinos charged with drug offenses were, for example, more likely to receive more punitive plea offers and custodial sentences than similarly situated whites. Without data from district attorneys to show otherwise, the Council cannot ignore the correlation between the prosecutorial discretion and the disparities in case outcomes. The nonexistence of prosecutorial data is particularly concerning in light of the city’s recent efforts to drive down the population of Rikers as part of its overall commitment to close the jail. The City Council approved $375.6 million in funding for the five district attorney offices for the 2019 fiscal year, representing a $107,511 increase from than the previous year. Meanwhile district attorneys pursued practices that either assisted or impeded efforts to address the incarceration problems without having to report any data on those practices to the city. Such data would serve a vital purpose in helping the public and policymakers better identify where resources are needed to further the goal of decarceration. Given the current black box in which district attorneys operate, the NYCLU offers our support for Preconsidered Intro. 2019-3704, which will require our city’s district attorneys to disclose information on criminal case dispositions. The bill will require reporting disaggregated by race, gender, and charge, on the number of cases prosecuted; cases resulting in a conviction; cases referred but declined for prosecution; number of bail, remand, and supervised release requests; cases dismissed for various reasons; cases dismissed at each phase; the average time for a case to be disposed; and the sentences imposed. Such information would no doubt inform the public about how district attorneys use their discretion to affect the liberty interests of thousands of New Yorkers. Missing from this list, however, is information on plea bargains. We urge the Council to amend the bill to require district attorneys to also report on their plea bargains. Given the sizable percentage of convictions that result from plea bargains, information disclosed on the number and percentage of convictions that result in plea deals that are custodial and noncustodial, disaggregated by race, gender, and charge is necessary. Plea bargaining accounts for an overwhelming number of prosecutorial decision points in cases and must be taken into public account. The addition of plea bargains will further support the meaning and purpose behind this transparency bill and will bolster efforts to hold district attorneys more accountable for how they choose to exercise prosecutorial discretion. We thank the committees for the opportunity to provide testimony today and for taking the first steps in a long overdue process to bring increased transparency and accountability to the NYPD disciplinary system. The NYCLU looks forward to working with the Council on these and other measures to enhance the public’s understanding of some of the most secretive government actors. The Report of the Independent Panel on the Disciplinary System of the New York City Police Department, (Jan. 2019), https://www.independentpanelreportnypd.net/assets/report.pdf (hereinafter Panel Report). Civilian Complaint Review Board, 2017 Annual Report, 34, https://www1.nyc.gov/assets/ccrb/downloads/pdf/policy_pdf/annual_bi-annual/2017_annual.pdf. Ashley Southall, “New York Police Union Sues to Stop Release of Body Camera Videos,” N.Y. Times, Jan. 9, 2018, https://www.nytimes.com/2018/01/09/nyregion/new-york-police-union-body-camera-lawsuit.html. Graham Rayman, “NYPD Refuses to Reveal Precinct Use-of-Force Data, Citing State Law,” N.Y. Daily News, May 10, 2018, https://www.nydailynews.com/new-york/nypd-refuses-reveal-use-of-force-data-citing-state-law-article-1.3981630. Rocco Parascandola and Graham Rayman, “Exclusive: NYPD Suddenly Stops Sharing Records on Cop Discipline in Move Watchdogs Slam as Anti-Transparency,” N.Y. Daily News, Aug. 24, 2016, https://www.nydailynews.com/new-york/exclusive-nypd-stops-releasing-cops-disciplinary-records-article-1.2764145. NYPD Response to the Report of the Office of the Inspector General for the NYPP entitled “An Investigation of NYPD’s New Force Reporting System (May 4, 2018), https://www1.nyc.gov/assets/doi/oignypd/response/NYPD_Reponse_DOIForceReportingSystemReport_50418.pdf . Liam Dillon and Maya Lau, “Gov. Jerry Brown Signs Landmark Laws that Unwind Decades of Secrecy Surrounding Police Misconduct, Use of Force,” L.A. Times, Sep. 30, 2018, https://www.latimes.com/politics/la-pol-ca-police-misconduct-rules-changed-20180930-story.html. Robert Lewis, Noah Veltman, and Xander Landen, “Is Police Misconduct a Secret in Your State?” WNYC, Oct. 15, 2015, https://www.wnyc.org/story/police-misconduct-records/. Office of the Inspector General for the NYPD, Review of NYPD’s Implementation of Patrol Guide Procedures Concerning Transgender and Gender Nonconforming People, 5 (Nov. 2017), https://www1.nyc.gov/assets/doi/press-releases/2017/nov/31_LGBTQ_ReportRelease_112117.pdf. New York Civil Liberties Union, “Trans Advocate Sues NYPD for Charging Her with ‘False Personation,’” Jan. 22, 2019, https://www.nyclu.org/en/press-releases/trans-advocate-sues-nypd-charging-her-false-personation. New York State Violent Felony Offense Processing 2016 Annual Report, https://www.nycourts.gov/IP/sentencing/Determinate%20Sentencing%20Report…. See generally New York Civil Liberties Union, Stop-and-Frisk Data, undated, http://www.nyclu.org/content/stop-and-frisk-data. (Last checked Feb. 4, 2019). New York City Council Report of the Finance Division on the Fiscal 2019 Preliminary Budget for the District Attorneys and Office of Special Narcotics Prosecutor (Mar. 12, 2018), https://council.nyc.gov/budget/wp-content/uploads/sites/54/2018/03/FY19-…. 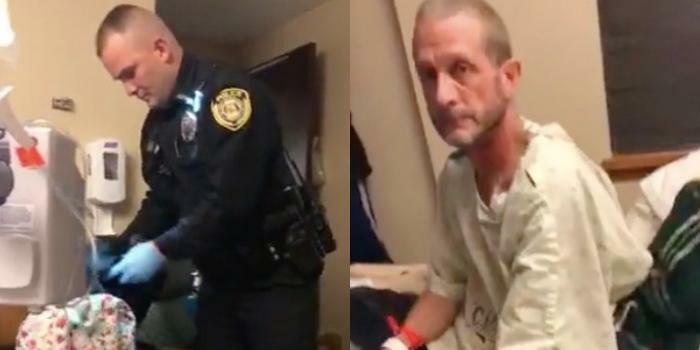 A shocking viral video showing a team of police entering and then searching the hospital room of man with stage 4 pancreatic cancer is fueling outrage in Bolivar, Missouri, where the incident took place and is renewing nation-wide debate over medical marijuana.